Hi everyone! 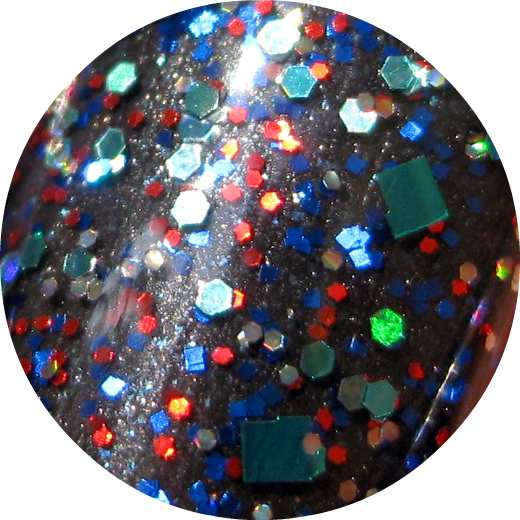 Yesterday I showed you swatches of a pretty shimmer polish from Beyu, #325. 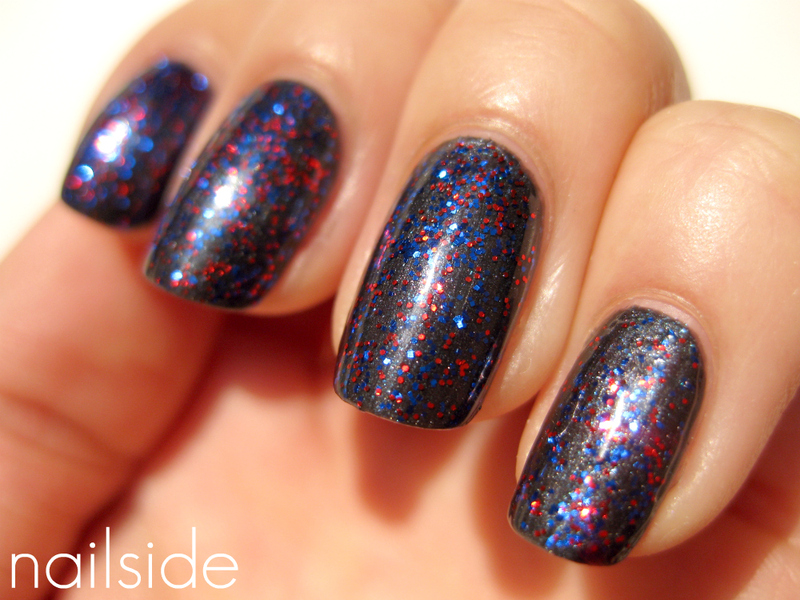 The blue flecks were gorgeous in the bottle, but unfortunately they didn't show up that well on the nail. So I added more blue bling myself, as you can see in the first picture. It was amazing to look at, but then I wondered how it would look if I added more, different colored glitter... Only one way to find out! So here's #325 with a blue glitter topper from Claire's. And finally a coat of Edward from Essence. I can't stop looking.... lol! 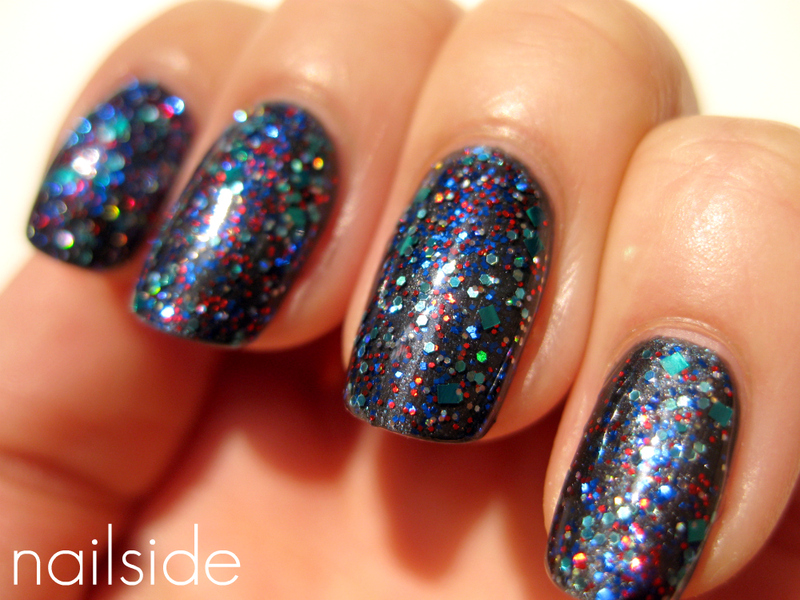 Yay, it looks like a party on your nails :D Fantastic..
Ooh I love it! I love matte glitter! The colors look really pretty together! I love it matte . I think it shows off more of the sparkle. i love love love the matte. that's genius. I love this with the red glitter, that's an amazing combo!!! Gorgeous! I love layering, especially when it's mattefied.